The first 2 years of life are considered a critical time for brain development. TV and other electronic media can get in the way of exploring, playing, and interacting with parents and others, which encourages learning and healthy physical and social development. As kids get older, too much screen time can interfere with activities such as being physically active, reading, doing homework, playing with friends, and spending time with family. The Bottom Line? Too much TV is unhealthy – the more television your child watches, the less likely they are to do well in school and the greater their chance of becoming overweight. If you’re worried about how much TV your family is watching, consider these 10 Tips to help you to take control over your kids’ viewing habits. 1. Get the TV out of the Bedroom! Having a TV in the bedroom may keep your kids quiet, but you lose control over what and how much they watch. A recent study found that children who had a TV in their bedroom watched more TV and performed worse in school tests. If your child already has a TV in their bedroom, you may have a job on your hands to get it out. We recommend that you just remove the TV and explain your reasons to your child. Be prepared for protests, but remember that you are acting in the best interests of your child. If no-one’s watching it, turn the TV off! TV has an amazing effect on us. We instinctively pay attention to moving images, so when a television is on it is difficult to concentrate on other things. Remember, the “off” button is there for a reason. Do you really know what the kids are watching? Many studies have shown that children can be exposed to violent and sexual imagery that is inappropriate for their age. Keep track of what your kids are watching, and avoid having loads of TV sets around the house. Agree in advance which programs your children will watch. This won’t take long, and will save your children from hours of zombie-like channel surfing. Set rules for acceptable programs together and develop a list of programs to be watched. Agree with your children how much time the family will spend watching TV during the week and when. Remember to be firm during the negotiations. If your children are already TV addicts, you will need to reduce their screen time gradually. The most important thing is to replace TV time with something else, so you might need to think about active hobbies for your kids. Keep a TV log for a week, and work out how much time you and your children spend in front of the box. Just write down the number of hours of TV you’ve watched – you may find this surprising. Record movies and programs that you like and watch them at convenient times. 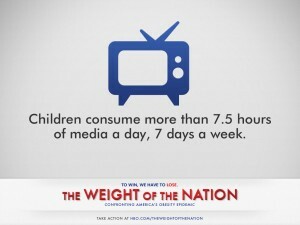 This can help to minimize the effect that TV has on your family’s sleeping and eating patterns. Explain to your children the reason why too much TV & Screen time is a bad idea and get their opinions. This is crucial, since you want your children to develop good TV habits that they will take with them into adulthood. Don’t be too dictatorial, and explain your actions. Your children will get into the habit of being discerning viewers. You need to take a lead, but you have to bring your children with you. If your children are very young, establish clear rules and be consistent. They will learn to accept this as normal. Don’t eat in front of the TV! When you are looking at the box, you find it harder to keep track of how full you are. For this reason people tend to overeat when they are watching television. 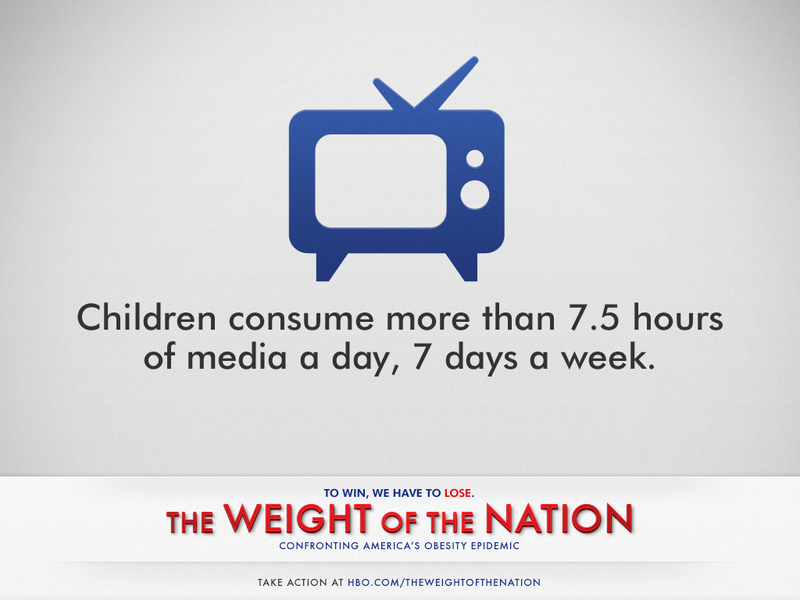 When children routinely eat meals in front of the TV they are more likely to become overweight. The odd bit of popcorn during a movie is OK, but in general don’t let your family eat meals in front of the TV. Also, meal time is an important social activity. Talk together. Studies show that meal time for children is one of the most significant times of the day to share about their lives. You don’t have to ditch the TV completely, although believe it or not some people take this option and live perfectly normal lives. TV isn’t all bad…you can see great movies, educational documentaries and entertaining shows. Just make sure that you control the TV (vs. it controlling you and your habits) and live a balanced life of daily active living and outdoor time.